The Beautification Committee is proud to present the winners of our Holiday Decoration contest for 2018. We hope everyone continues to enjoy the Dunwoody North festive season. The Dunwoody North 2018 Yard of the Month season came to an end in September. It was a pleasure to tour the neighborhood and see the landscape changes from month to month. 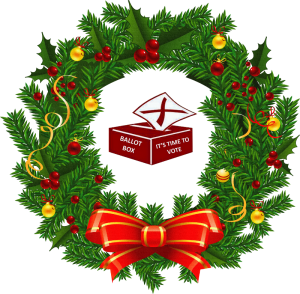 The 4th annual Holiday Contest Nominees are posted! The Dunwoody North Civic Association (DNCA) represents you, the Dunwoody North Residents, in local, city, county, and state issues specifically concerning our community. Have you thought about what it takes to make a good community, great… A nice neighborhood, fantastic? It’s all about friends, family and good neighbors… Without them, you might as well be living in a desert while with them; any desert can be your oasis. Your Dunwoody North Civic Association invites you to join. Take a step towards making your neighborhood an oasis; a better place to live, work, play and raise a family. Get involved, support what the DNCA does, leverage the resource and reap the benefits. Provide multiple Neighborhood Watch Callingpost calls. Publish and distribute the neighborhood directory. Publish, print and deliver the DNCA newsletter. Beautification Committee award Yard of the Month from April to October. Beautification Committee maintain neighborhood monument landscaping throughout the year. Beautification Committee manage the Holiday Decorations contest. Beautification Committee hold an open Plant Exchange. Enhance Halloween at Briers North’s by helping with security costs. Present the 'Thank You' holiday dinner for Fire Station 18. Organize the 'Thank You' holiday luncheon for the Dunwoody Police Dept. Hold our Annual Meeting with great speakers including city and state representatives. Arrange a Lifesouth Blood Drive at our Annual Meeting. Include a book Exchange at our Annual Meeting and donate books to the Dunwoody Library for their book sale. Support local schools with a donation. Provide Board Members to volunteer at local events. Maintain this web site with on-line payments for those who prefer electronic membership management. President send out regular e-mails with important information to those who provide their e-mail address. Your Dunwoody North Civic Association needs you to get involved. © 1990 - 2019 Dunwoody North Civic Association ~ No part of this website may be copied or reproduced without written permission. A wordpress site by natural light & sound.